Let’s give a big hand for our Science Fair judges! Home » What's New » Let’s give a big hand for our Science Fair judges! 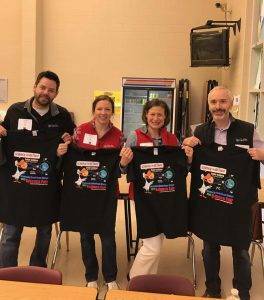 Devin, Dr . Lane, Dr. Carpenter and Dr. Mattson had a blast judging the Science Fair last weekend!